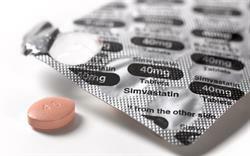 DuoResp Spiromax (formoterol/budesonide) has been launched for use in adults with asthma or chronic obstructive pulmonary disease (COPD), where use of an inhaled corticosteroid and a long-acting beta2 agonist is appropriate. 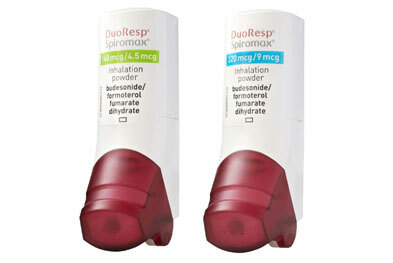 DuoResp Spiromax 160/4.5 and DuoResp Spiromax 320/9 are therapeutically equivalent to Symbicort Turbohaler 200/6 and Symbicort Turbohaler 400/12, respectively. 320/9 (formoterol fumarate dihydrate 12 microgram, budesonide 400 microgram per dose) - equivalent to Symbicort 400/12 Turbohaler. 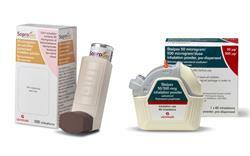 In asthma, the 160/4.5 inhaler may be used both as regular maintenance treatment and as needed in response to symptoms. 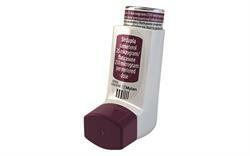 The 320/9 inhaler must be used with a separate reliever. 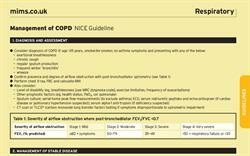 In COPD, both inhalers are indicated for symptomatic treatment in patients with a forced expiratory volume in one second (FEV1) <50% predicted normal and a history of repeated exacerbations, who have significant symptoms despite regular therapy with long-acting bronchodilators. 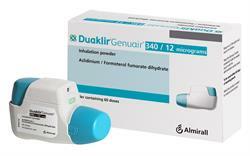 The Spiromax device has a design similar to that of pressurised metered-dose inhalers. 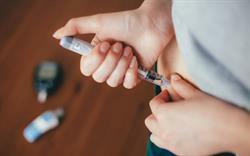 There are three steps to using the inhaler: open, breathe and close. No priming is required. Dose confirmation is provided by a 'click' sound, lactose taste and a dose indicator.